Flyers used to showcase any business or product. It would be used while promoting any product, promotion of event, updating the products and showing specifications etc. Good information combined with creative graphics is used in flyer designing services. Any flyer can be effective if and only if it appeals the customer. Your flyer is your advertising message and is a way to promote their products and services. Let it portray your products effectively. We also offers time oriented graphics designing services in very easy manner. At WebShree, we provide Flyer Designing Services in Delhi. You just need to send us raw files or data and we will process it further. You can send us text, or objects in any file format and we will show you the needful. A flyers is fast and economical solution of advertising. 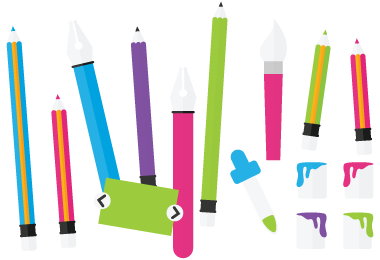 At WebShree we have graphic art directors who may create flyers and posters designs by using software's like Indesign, Quark Express, Adobe Illustrator, Corel Draw etc. You can submit your inquiries for Flyer Designning Services . Final delivery: Within 5 business days of design finalization. Request A Quote for our Flyer Designing Packages.